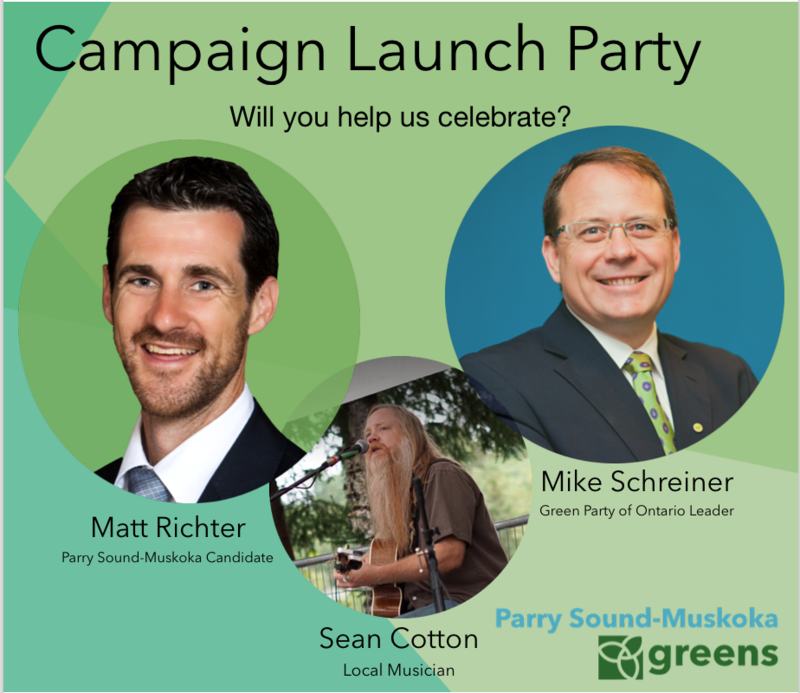 On Tuesday, May 8th, join Parry Sound-Muskoka Green Party candidate Matt Richter, along with Mike Schreiner, Leader of the Green Party of Ontario, to launch his official campaign for the 2018 provincial election. Come celebrate with us as we kick off the biggest campaign we’ve ever run in Green Party history! We’ll have live music by Sean Cotton, snacks, a cash bar and lots of excitement, as we come together with fellow Greens to bring people powered change to Ontario.